It’s been rumoured that Prince Harry and Meghan Markle are currently planning their honeymoon in Namibia for a romantic retreat in the Southern African country. Here are the top tips from specialists at Expert Africa, for holiday-makers and honeymoon-takers who are looking to follow in the royal footsteps. 1. Book at least a year in advance. Namibia offers great value, but the best places do book up a long time in advance. For example, the really good trips for late July, August, September and October 2018 have already sold out, but there’s still availability to book these trips in 2019. 2. Don’t assume it will be hot everywhere, all the time. Just because the country is sandwiched between the Namib and Kalahari Deserts, don’t assume that everywhere is hot all the time. Take some warm clothes and dress in layers that you can gradually peel off during the morning. Those travelling between mid-May and mid-September will also find that many of the desert areas will be very cold at night. 3. Consider a self-drive option. If you’re looking for a safari at a reasonable cost, then choose a self-drive trip to Namibia. Such trips are very straightforward and as well as great freedom and flexibility, they offer excellent value for money. Driving around Namibia is usually easier than driving around France. 4. Don’t be over-ambitious when planning driving distances. Namibia is a very big country, so plan carefully and beware of trying to cover too much ground in a day. Work on a maximum speed of 70 kph on gravel road, and 100 kph on tar roads – and plan your days’ drives carefully. 5. Buy a good guidebook in advance. Essential reading when planning, and the ideal travel companion, a comprehensive guidebook will also build excitement ahead of what is sure to be the trip of a lifetime. Flying into Windhoek, transfer to Sossus Under Canvas, a semi-permanent tented camp in the Namib Desert. Spending three nights here, with exclusive use of the camp, enjoy private guiding, nature drives on the Neuhof reserve, dips in farm desert pools, romantic star gazing and the chance to sleep out under endless skies. 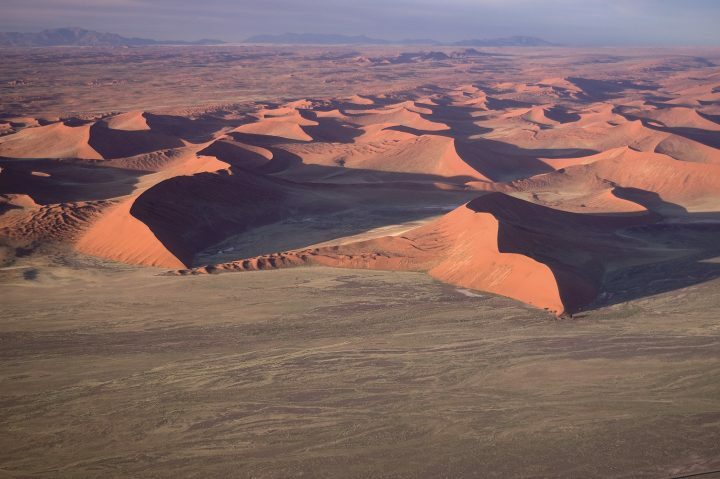 Transfer from here to Damaraland by flying over the famous Sossusvlei dunes, the great Namib Sea Sand, and also the shipwrecks of the Skeleton Coast, arriving at Huab Under Canvas to spend three nights, again with exclusive use of the camp. 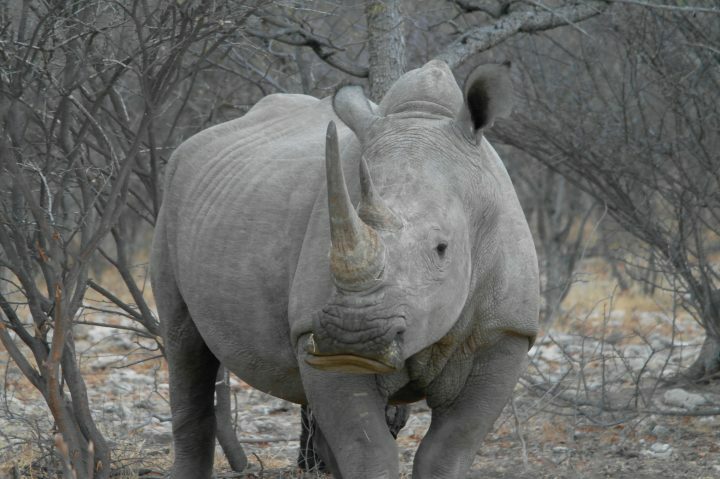 Private guided walks, nature drives and star-gazing will be combined with rhino tracking with Save the Rhino Trust to make this a memorable stay. 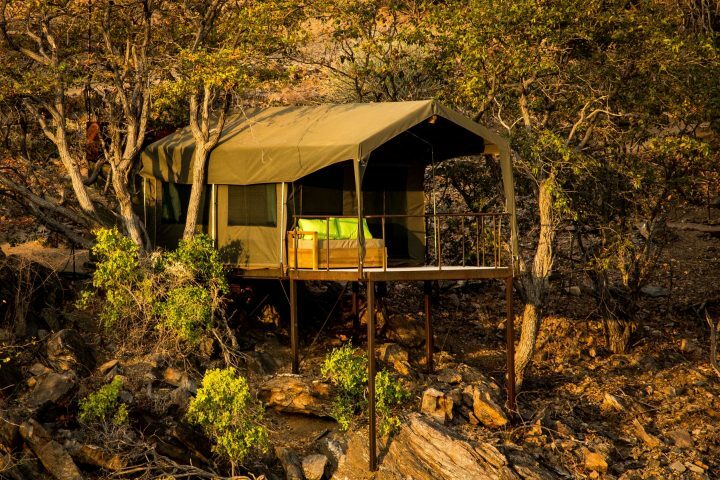 The remainder of the itinerary encompasses time spent in Etosha National Park – visiting a remote Himba community en route and staying at Safari Hoek and the Onguma Tree Top Camp – finishing off at the exclusive-use, Okonjima Bush Suite, in the Okonjima Reserve.